Budapest is very much the tale of two cities, with Buda sitting to the west of the river and Pest to the east. The vast, vast majority of games lie over in Pest but, aside from the “normal” tourist reasons, there’s one particular reason that might draw escape enthusiasts across to Buda. 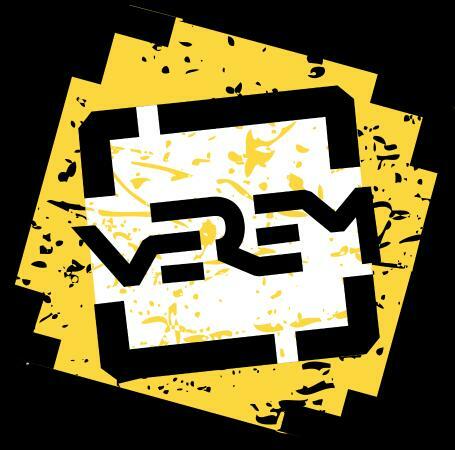 Verem has a longstanding reputation in the enthusiast community as a really impressive venue with two games. Both games are eighty minutes long which is probably part of the reason enthusiasts like them – games longer than sixty minutes almost always give you a bit more to get your teeth into. Each game was impressive in its own way, and I can see why they may have been popular in the past but I think, as things move on in the industry, enthusiasts will find these a bit lacking. Hangar 18 was a good game as long as you were OK with the escape room logic it contained. Diktator will likely appeal to those players who like Geography and History, but only if you’re willing to put up with red herrings and darkness. For those who suffer from allergies, I’ll warn you that this was one of the dustiest games we played in Budapest, so well worth packing antihistamines if that’s a concern. Darkness. My heart sank. And would stay sunk for a good proportion of this game. Playing an escape room in the dark is never much fun, but this was a dusty, grubby affair requiring you to root through the room carefully and follow instructions, so the lack of lighting was a real annoyance. We slowly acclimatised to it and eventually the game got brighter so, while it was frustrating, it didn’t cloud our overall experience as much as I’d expected. More of a problem for my enjoyment of the game was the relatively poor theming. Aside from some pictures of dictators on the wall and a couple of military uniforms, this room didn’t really jump out to me as a dictator’s home or office. The central puzzle in the game is unusual in an escape room in that it is massively benefited by a knowledge of geography and history. Technically you CAN solve it without those, but it would take you a very, very long time. Fortunately, we had enough knowledge in those two areas to get through it reasonably quickly but, if those aren’t your specialist subjects, you may get quite frustrated for maybe fifteen or twenty minutes. For me, this was the highlight of the game. I enjoyed the required knowledge (because we had it! ), and the mechanism to solve it encouraged the whole team to take part. Apart from that central puzzle and the earlier “engineeringy” puzzle, I felt that things weren’t generally that exciting. There was plenty of searching to be done, but I’d describe it as rummaging rather than searching – a lot of the time you just didn’t know whether the items you were finding were red herrings or genuine clues. We did at least end on a high, with an impressive set-piece puzzle to finish the game that definitely felt like a worthy finale. Diktator had been an interesting room but not one that really excited me, so I was curious to see whether Hangar 18 would better live up to the reputation of the venue. First impressions weren’t good – a slightly dilapidated room with a basic surgical theme and a bank of monitors. The room felt bare and yet, at the same time, managed to have plenty of red herrings. An impressive combination! Even working out where to start was a little frustrating but, once we got over that hurdle, things improved markedly. It didn’t feel like there were a huge number of puzzles in the game, but the ones they did have were decent quality. Escape Room logic, undoubtedly, and not amazingly advanced, but fun nonetheless. In spite of the relatively low number of puzzles in an 80-minute game, we never really felt frustrated, and I think that was down to the feeling that we were exploring the environment in a way that fitted the theme well. It’s not the sort of game where the physical movement through the space is interesting or you’re continually met with surprises, but there was plenty in the space to investigate, and they’d produced various set pieces that fitted with some sort of Area 51-style base. And you’ll need to investigate because there’s definitely some searching to be done in this game. We were fortunate enough to find everything we needed in our initial sweep but, if you don’t, you’re going to have a stressful finale to this game… It was a good ending, though, that brought the experience to a conclusion that fitted what little storyline we had.